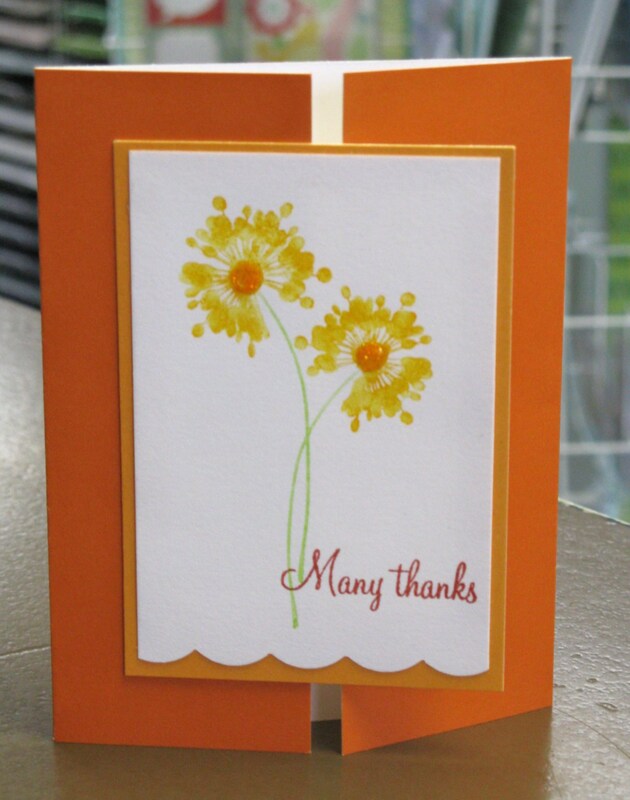 For this card we used the Scor-Pal to create a gate-fold. We used Tombow markers to colour directly on to the rubber of the Bursting Blooms stamp, then “huffed” on the stamp to moisten the ink before stamping. This achieves a kind of blotchy watercolour effect, which we smoothed out with the Tombow blender pen. We added a bit of sparkle with some stickles and called ‘er done. One thing we learned is that during a class you want to make stickles the absolute LAST step when completing a card like this because it takes a while to dry – if you’re at home you can set it aside before assembling.